UNDER CONSTRUCTION! New construction by Mobley Homes. Located in the heart of Carrollwood off of Orange Grove Drive on Boot Lake, Lakeside Oaks Reserve features beautiful homesites on and off the lake in a brand new private subdivision. While the size of the community is cozy, the homes are spacious and elegant. 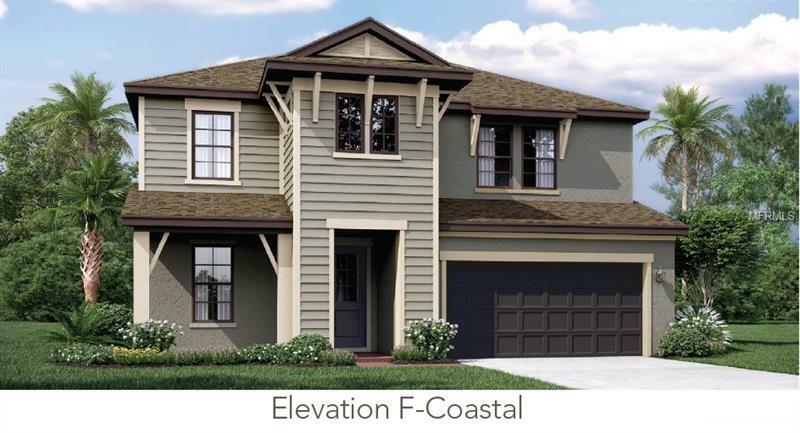 At Lakeside Oaks Reserve youâll have the option to build your dream home from one of our luxury home plans we offer. This 4/3.5/loft 2950 sq ft Teakwood floor plan is a must see. This home sits on a gorgeous homesite with tons of upgrades. Granite in the kitchen bathrooms, upgraded 42" cabinets with crown molding, stainless steel appliances, undermount sinks, French doors, 18X18 tile, upgraded faucets, lighting fixtures, radiant shield barrier, pavers front porch, driveway and much much more.SPECIAL OFFER: up to $10K in Closing Costs!! * Itâs time to love where you liveâ¦ (Certain conditions and exclusions apply) Anticipated completion date 2018. Pictures are of another home with the same floor plan.